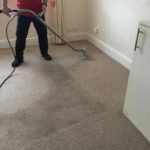 As much as we’d all like our carpets to be in tip top condition 24/7, life can happen, bringing with it little spills and stains along the way. 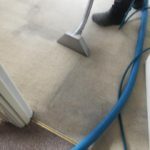 That’s why we’ve put together a list of top carpet cleaning hacks that will come in handy if you don’t have a carpet cleaner immediately to hand. 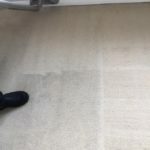 When you rub a stain, it causes particles to separate and become ground into carpet fibres, which will then lead to premature breakdown of those fibres. This is obviously bad news for your carpet. However, if you blot your stains rather than rub them, you will be able to put a small amount of pressure on the stain which will help to soak it up. The best way to blot a stain is to work from the outside of the stain inward. If you blot the stain the other way, you could cause the stain to spread further. Whether it’s from an over-exaggerated blowing out of the candles on a birthday cake, to everyday candles burning away, it can be quite easy for wax to find its way into your carpet and stay there. However, with this handy hack, any melted in wax will be gone in no time. First you’ll need to grab your iron and a white cloth. Place your white cloth over the melted wax and put your iron on top. This will warm up the wax, making it easy for you scrape the wax up with a butter knife. Whilst we enjoy our sugary treats from time to time, our carpets aren’t too keen. 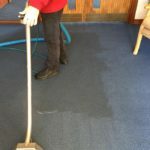 The best way to remove trodden in sweets and food is to try and scrape it out with a brush or butter knife, and then use and sponge and water to get the sugar out of the carpet. If you don’t remove all of the sugar then your carpet will attract dirt and debris more easily. We love our pets, but their hair can cause our carpets problems. Simply vacuuming is not enough, but that’s ok. All you need to do is don a pair of rubber gloves and rub the carpet until your bring the hair up in clumps. If you don’t have any rubber gloves you could use something like a squeegee.